The phone call reaches Mickey Lolich at his home in suburban Detroit on Oct. 9, a day before the 50th anniversary of Game 7 of the 1968 World Series, a signature moment in Lolich's outstanding major-league career. How would he celebrate the occasion tomorrow? "I've never celebrated in all the other years," says Lolich, the bulldog southpaw who pitched three victories and earned the Most Valuable Player Award in leading the Detroit Tigers past the St. Louis Cardinals in the Fall Classic a half-century ago. "I might mention something to my wife and say, 'You want to go out for dinner? She'd probably say, 'No, gotta watch 'Dancing with the Stars' or something." So Lolich will celebrate in a half-hour conversation with a reporter from his hometown, reliving memories from both his childhood and that wonderful week in 1968 when he was on top of the baseball world. Lolich grew up in Northwest Portland and graduated from Lincoln High in 1958. His father, Steve, worked for the city of Portland and was in charge of maintenance of Wallace Park for most of his tenure. "My dad took care of that park for 30 years," says Lolich, 78. "His job was to cut the grass except the football field, paint the swings and the teeter totters, keep the wading pool clean. In his later years, he moved to MacLeay Park." Mickey was an only child. His cousins, Ron and Frank, lived three blocks away. Ron was an outfielder who played parts of three seasons in the major leagues. Frank was a pitcher who played five minor-league seasons, advancing as far as Double-A. "Three professional ballplayers in one family," Mickey says. "Not bad." Mickey was born a right-hander — at least it seemed that way when, at age 2, he had an accident that changed everything. "I was riding a tricycle down a sidewalk and I ran off the curb and hit a parked motorcycle, which fell on top of me and broke my collarbone in two places," he says. As Mickey was recovering, his parents tied his right hand behind his back to force him to use his left arm, which was weaker after the accident. "After I built my strength back up, they released my right arm," he says. "I continued to eat and learned to write right-handed, but when it came to throwing, left-handed seemed more natural after that." 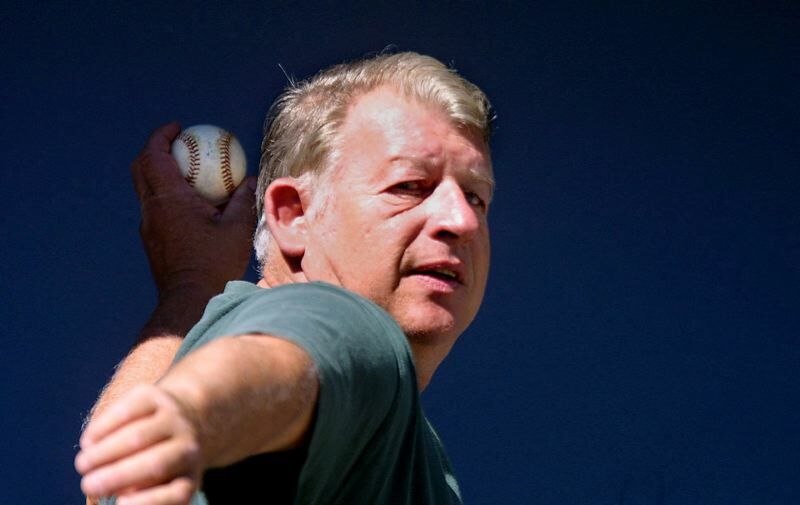 Baseball was at the core of Lolich's being growing up. He was a bat boy for the Pacific Coast League Portland Beavers in 1955 and '56, when he wasn't pitching Barnard Motors Cadillac to the Babe Ruth League World Series both years (in '55 in Austin, Texas, where he earned MVP honors, and in '56 in Portland). He pitched his Portland team to the American Legion World Series in Billings, Montana, in 1957. Lolich also won a state A prep championship as a sophomore at Lincoln in 1956 and was runner-up as a senior in 1958. "I wasn't the greatest student in the world," he says. "By my junior year in high school, I was locked into turning pro as soon as I graduated." Lolich had grown up a New York Yankees fan. His idol was southpaw pitcher Whitey Ford. "I was all set to sign with the Yankees," he says. "But my uncle Frank contacted a friend of his, Johnny Pesky." Pesky, also a Lincoln High grad who was a star shortstop for the Boston Red Sox, was a manager in the Tigers farm system at the time. Says Lolich: "Johnny told my uncle, 'The Tigers have almost zero left-handed pitching in the minor leagues. Signing with us will be his best chance to get to the big leagues quickly.' So that was that." 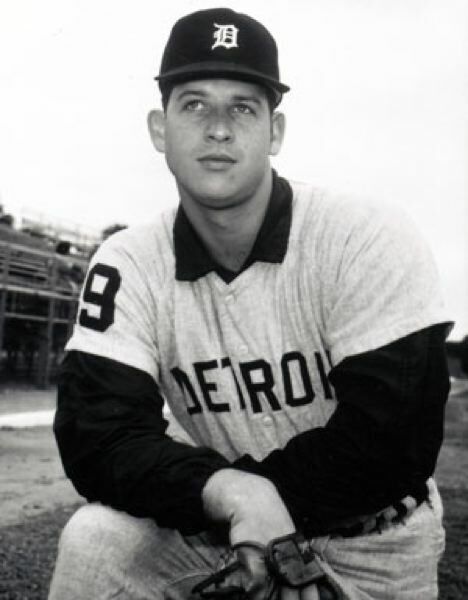 Detroit gave Lolich a $30,000 signing bonus, and he made it to the majors in 1963 at age 22. By the next season, he was a fixture in the Tigers' rotation, and would go on to win at least 14 games for 11 straight seasons from 1964-74. In 1968, Lolich went 17-9 with a 3.19 ERA, but he played second fiddle to Denny McLain, who had a pitching season for the ages, going 31-6 with a 1.96 ERA. McLain — the last pitcher to win 30 games in the majors — won the Cy Young and MVP awards and was the biggest reason the Tigers won 103 games and found themselves in the World Series that year against the Cardinals. "He had a fantastic year," Lolich says. "He threw some shutouts (six). He won some 2-1 and 3-2 games. But they say sometimes it's not how you pitch, but when you pitch. When he was pitching, (the Tigers) averaged 6 1/2 runs per game. If you're getting that many damn runs, you ought to win games." If it sounds as if Lolich has some antipathy for his former teammate, there's a reason. "I got along with Denny very well until the 1969 All-Star Game in Washington, D.C., where he left my wife and I stranded," Lolich says. McLain was a private pilot who owned a plane, and he offered to fly Mickey and his wife, Joyce, from Detroit to the nation's capital for the game. Detroit manager Mayo Smith, who skippered the American League in the game, had told Lolich beforehand that he wasn't going to pitch in the game. "Denny pitched, but not well, in the game," Lolich recalls. "He came into the locker room after his stint, with the game still going, took a shower, changed his clothes and came to the dugout. He told me, 'See you later.' I said, "We'll be out at the airport after the game.' He said, 'Sorry, I'm taking off right now.' I said, "Wait a minute; we don't have a flight.' He said, 'That's your problem.' That's when the animosity started between us." Back to 1968, and a great World Series matchup. The Tigers had position players such as Al Kaline, Bill Freehan, Willie Horton, Norm Cash and Jim Northrup. The Cardinals featured Lou Brock, Orlando Cepeda, Curt Flood, Tim McCarver, Julian Javier and Mike Shannon. McLain and Lolich topped Detroit's four-man pitching rotation while the St. Louis staff was led by Bob Gibson and Nelson Briles. Gibson threw a five-hit shutout in besting McLain 4-0 in the opener, walking one and striking out 17 — still a World Series record. On Oct. 3, Lolich took the ball for the Tigers for Game 2 not quite sure what to think. "I was a guy who liked to finish what I started," he says. "We had wrapped up the (AL) title on Sept. 15. I was still pitching every four days, but they'd only let me pitch five innings and take me out no matter what the score. I was uncomfortable being taken out of games all the time. "I was well-rested going into the World Series, but did I feel comfortable? Maybe in my first game I didn't." Lolich went the distance in an 8-1 Detroit victory, allowing six hits with two walks and nine strikeouts. It was the game of his career in one sense: He went 2 for 4 at the plate and belted the only home run of his 16-year major-league career, a third-inning solo shot off of Briles over the left-field fence. "Two strikes on me, and I decided to swing at the next white thing that flew by," Lolich says. "(Briles) hit the middle of my bat and the ball went out of the park. I got tired running the bases. I decided I'd never hit another (homer) — too far to run." It was to be the only home run of Lolich's career through 21 professional seasons, including five in the minors. He finished his big-league regular-season career with a .110 batting average and no homers in 477 regular-season games and 821 at-bats. The Tigers lost Games 3 and 4 to fall behind 3-1 in the Series. In Game 5 on Oct. 7, Lolich kept them alive, going the distance again in a 5-3 win. He allowed nine hits with one walk and eight strikeouts. McLain went the route in Game 6, a 13-1 Tigers rout, to set up a Game 7. Did Lolich know he'd be pitching again if it got that far? "Then he said, 'That's not what I'm talking about. Can you start?' Before I could say yes, he said, 'I only want you to pitch five innings.' I said, 'That's no problem whatsoever. Tomorrow would be my day to throw in the bullpen between starts. I get a good workout down there. I'd probably throw 70-80 pitches. Five innings, 15 pitches an inning — that's 75 pitches. I'll be fine.' He said, 'OK, you're starting tomorrow.'" On Oct. 10, in his third start in a week, Lolich outdueled Gibson in a 4-1 Detroit victory, shutting out the Cardinals through eight innings and allowing only five hits with three walks and four strikeouts. The score was tied until the Tigers plated three runs in the seventh. "After five innings, I walk off the mound and Mayo says, 'Can you pitch one more (inning)?'" Lolich says. "I say, 'Sure, I'm fine, no problem.' Sixth inning, I walk off the mound, he says, 'Can you give me one more?' I say, 'Yeah.' We score three runs in the seventh. I walk up to him, tap him on the shoulder and say, 'Now I'll finish it for you.' He says, 'That's exactly what I wanted to hear.' And I did." Lolich says his arm wasn't sore, only "slightly tired" for Game 7. "But when my arm was tired, my sinking fastball sank more than it normally did," he says. "That was the secret. I had a great sinking fastball, and it helped get me through the game that day." Pitch counts weren't kept in those years. "I used to average 15 an inning, so it was probably about 145 pitches a game," Lolich says. That would amount to a staggering 435 pitches in the three games over a seven-day span. "But I was fine," he says. "I was getting people out." In 27 innings, Lolich yielded five runs and 20 hits with six walks and 21 strikeouts on baseball's biggest stage. "Kaline and Northrup both had great series," Lolich says. "Gibson had a great series, too. He could have won the MVP just as easily as I did. When they told me I'd won, I said, 'Well, great. Wow.'" Lolich won a 1968 Dodge Charger for the MVP award. There was some irony in that. "I had two of them already sitting in my driveway at home," he says with a laugh. Did Lolich field a wave of endorsement offers? "Not really," he says. "The endorsement thing hadn't started yet. I did hook up with Little Caesars Pizza, which was starting to get big in the Detroit area. For two years, I worked with them. My job was to go to grand openings and sign autographs for people. It was good publicity." Lolich also got a pay raise — from $30,000 to $40,000. "The guys today would do a little better than that, I think," he says. Lolich had his best years after that, in part due to pitching coach Johnny Sain, who was with the Tigers from 1967-69. "He helped me in the aspect of teaching me about positive thinking when on the mound," Lolich says. "He was always trying to teach me how to throw the cut fastball. I just couldn't get it. After he left our organization, in 1971, I was warming up in the bullpen in spring training at Lakeland, Florida. I couldn't make my fastball to hit the outside corner. I was getting very frustrated. I gave the ball a little flip to get some spin on it, and damn, there was the cut fastball." It was a "Eureka!" moment for Lolich, who pitched more than 300 innings four seasons in a row from 1971-74. In '71, he was runner-up for the AL Cy Young Award, going 25-14 with a 2.92 ERA, throwing an amazing 376 innings while leading the league with 308 strikeouts and 29 complete games. The next year, he was third in the Cy Young voting, going 22-14 with a 2.50 ERA. For perspective, Washington's Max Scherzer led the majors in innings pitched (220 2/3) and strikeouts (300) this season. "Hot water was my secret," Lolich says. "The first year I was put on the Tigers' major-league roster in spring training, our trainer, Jack Hommel, watched me throw (batting practice). When I came off the mound, he said, 'You have one of the best arms I've seen in my life, so nice and fluid.'" Hommel gave Lolich a tip. He said Satchel Paige would wrap his arm in a towel and stand under a scalding hot shower after an outing. "I started doing it that year, and it worked. I'd stand there for 15 minutes under a hot shower. Never had a sore arm. In 16 years in the big leagues and 14 years as a starting pitcher, I missed one start. I got hit above the left elbow with a line drive and the arm was a little tender for a week or so." So what does Lolich think about today's starting pitcher, who rarely goes beyond 100 pitches, six or seven innings and 200 innings a season? "All I can say is, with starting pitchers going five innings, how come they have so many Tommy John (elbow) surgeries?" Lolich asks. "Their arms are not strong enough. The best pitchers are your starting pitchers. Why are the relievers getting so much work? "The game has changed tremendously. I'd love to be pitching today. The guys are all trying to launch home runs. I'd strike out 12 to 14 batters every game. Plus, you have the shift now. I watch the game, but I'm not happy with what I'm seeing. It's not the basic game of baseball. It's a whole new thing." Lolich doesn't believe his career would have been extended had his innings been limited. "It's like lifting weights," he says. "You get stronger and stronger the more you do. When your arm starts to get a little tired and you continue to pitch, you learn how to pitch because you don't have your best fastball. I used to throw 96 mph, and it might have dipped to 91 or 92 (when he was tired), but now you learn to make the ball sink, your control gets better, you have to pitch to corners." Lolich retired after the 1976 season after one year with the New York Mets, in which he went 8-13 but with a fine 3.22 ERA. "My family remained in Michigan and I was living by myself in New York, and I had an off year," he says. "I'd had enough baseball." After the 1977 season, San Diego general manager Bob Fontaine called. "He asked, 'Can you still throw strikes?'" Lolich says. "I said, 'I can throw strikes in my sleep.' "
Lolich played two final seasons with the Padres, pitching out of the bullpen. He was terrific the first season, going 2-1 with a 1.56 ERA in 20 appearances. He retired at age 38 after the 1979 season. "My family loved living in San Diego, being at the beach all the time," Lolich says. "It was a good two years to retire on." Lolich finished his career as a three-time All-Star with a record of 217-191 and 195 complete games. He is the Tigers' career record-holder in strikeouts by a left-hander (2,679), which was an American League record until the Yankees' CC Sabathia passed him in 2016. Lolich remained in the Detroit area after retirement, running a donut shop with his wife for 18 years. "It was a good business," he says. "I really enjoyed it. We had professionals bake the night before, but I would bake donuts from 9 a.m. to 2 p.m., Monday through Friday. And I had a lot of communication with the public. I was out front talking to them. My wife says she misses those days." Lolich says he keeps busy now "doing nothing." He co-authored a book, "Joy in Tigertown," which chronicles the great 1968 season and came out in June. He is still recovering from the effects of major back surgery last season. "My hobby is trap shooting," he says. "I shoot a couple of days a week. I putter around the yard. And I watch ballgames on TV, 'til they bore me."